Working the weekend…kinda sorta stinks. Like dirty socks. It is hard. And cruel. And unfortunately, necessary. Wanna know what makes them easier? Blueberry muffins and a decent Pandora station. Fact. Oh! and coffee….lots and lots and lots of coffee. Which, thankfully goes very well with blueberry muffins and good music. It is like they knew weekend mornings spent at work would be hard…they joined forces to make the whole situation bearable. Because if you have to work the weekends, you might as well make them easy breezy and enjoyable. You can probably guess what I did this weekend….oh yeah, I worked. And it was awesome. Well, mainly because of the coffee, muffins, and music. The actual work bit was a bit overrated, because lets be real, it was the weekend and no one likes to work the weekend, including myself. But I am all about doing what needs to be done…and so I did it. In yoga pants and a ponytail. Did I mention the constant flow of coffee? Or how about the music? What is your favorite Pandora station? Currently, I am stuck on Ryan Bingham. That voice, serioiusly!?! I can not get enough. But this weekend, I mixed it up with a bit of The Boss and The Avett Brothers…and whatever else Pandora thinks I should listen to. Which included some Paul Simon and The Stones. And to add a bit of sweetness to the whole bitterness of working weekends ( you can tell I am a fan of weekend work! 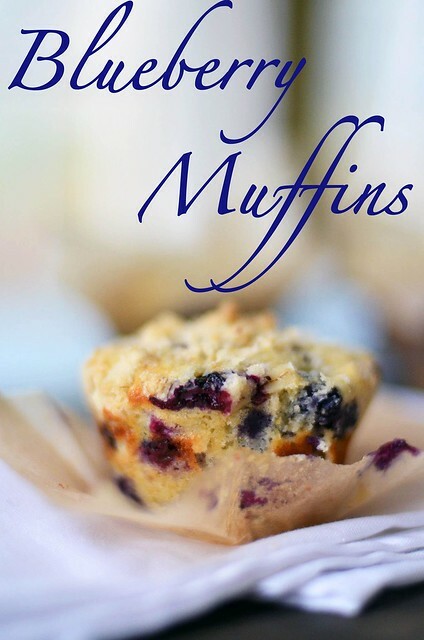 )…muffins are a must. 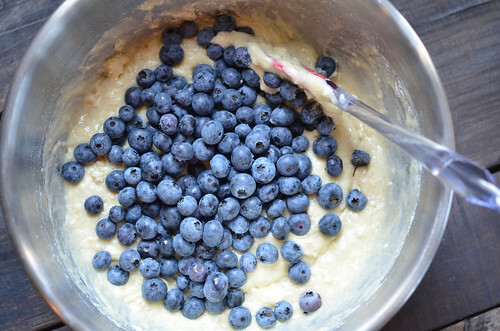 I knocked out some blueberry muffins this time around. 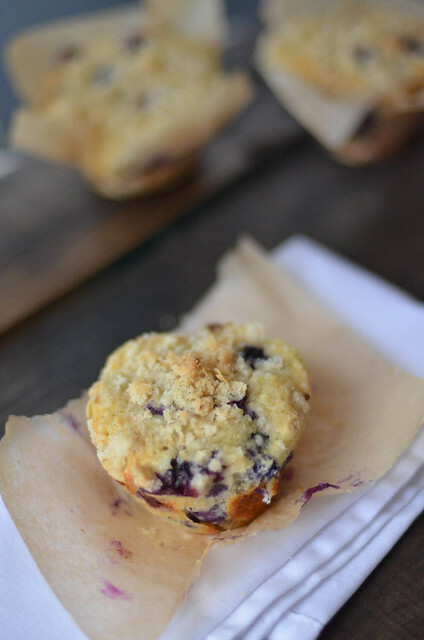 Oversized muffins, nesteled in rustic parchment paper muffin cups ( rustic = forgot to buy actual liners), bursting with blueberries, doused with a heavy coating of crunchy sweet struesal topping. 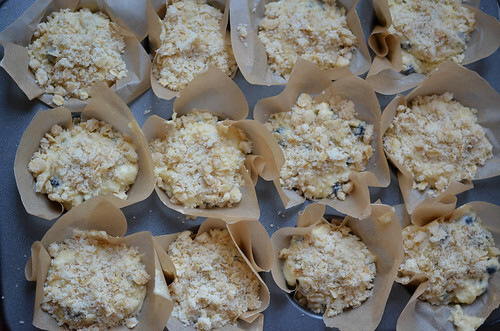 These are weekend muffins. Destined to make your co-workers love you. 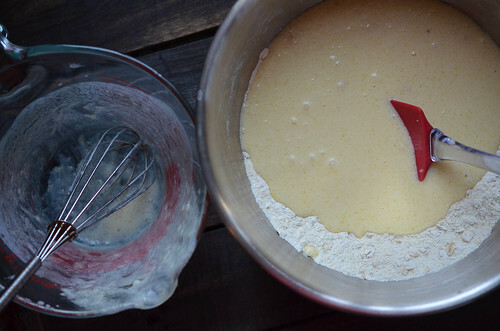 Dry ingredients. Wet ingredients. 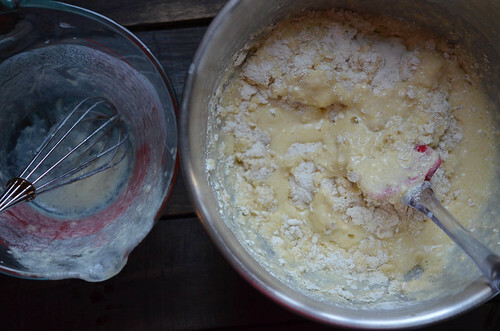 Muffins are that simple. And into the muffin tins. No paper liners? 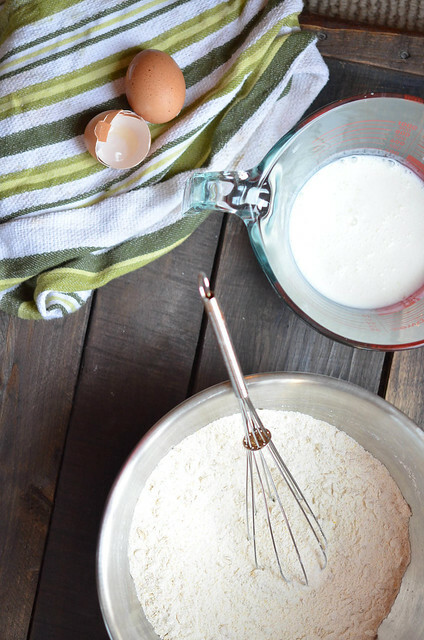 No biggie…parchment paper to the rescue!